This entertainment wall unit with an electric fireplace insert, two piers and a bridge adds suitable functionality, but it contributes to your living room's overall sense of style as well. 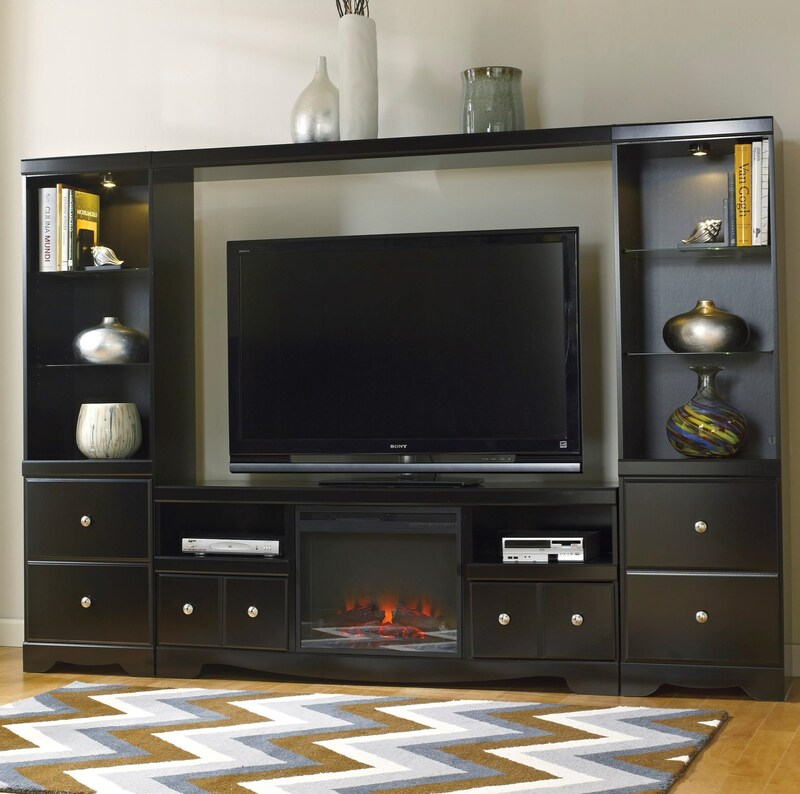 This entertainment center boasts a sleek, straight lined design with a rich black finish, a unique swooping shaped base rail, and features delicate satin nickel knob hardware. Each pier offers two glass shelves, lower fixed shelf, and two drawers. The TV stand itself provides additional room for your electronic devices and media collection with five shelves and two drawers. Savor in the amazing fresh style of your living room when this luxurious media center enters your home to entertain you for years to come. The fireplace has LED technology and a remote control with LED display. It offers a realistic wood burning flame effect combined with life-like logs. Additional features include two level temperature settings, a 20 watt high quality fan, thermostat heating and overheating control device, a down light, and the flame operates with or without heat.